Item # 316499 Stash Points: 3,000 (?) This is the number of points you get in The Zumiez Stash for purchasing this item. Stash points are redeemable for exclusive rewards only available to Zumiez Stash members. To redeem your points check out the rewards catalog on thestash.zumiez.com. 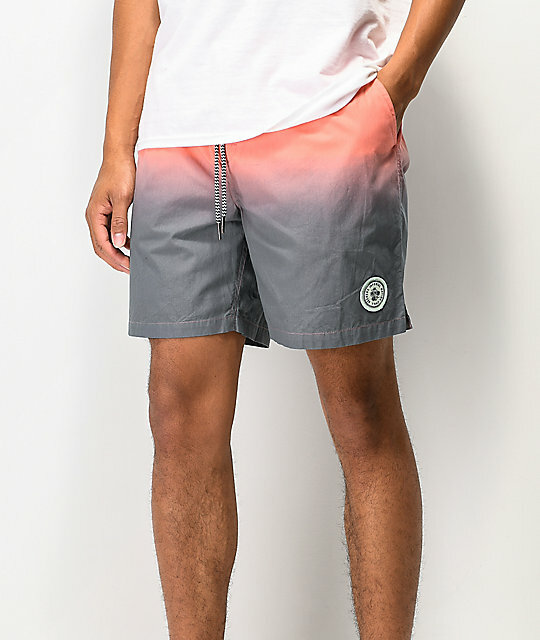 Prepare your wardrobe for the warmer months and grab Imperial Motion's stunning Seeker Tub Volley Coral and Grey Dip Dyed Elastic Waist Shorts. 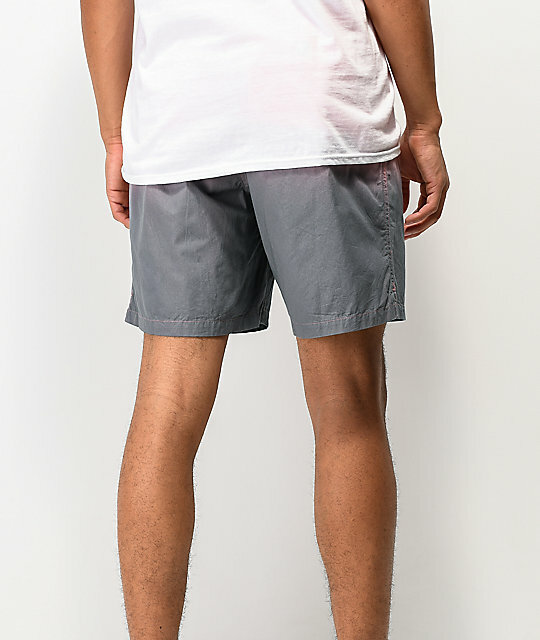 Simple and displaying a vibrant colorway, these lightweight shorts offer the fit and feel of board shorts but are also suited for daily use spent on the board walk or around town. 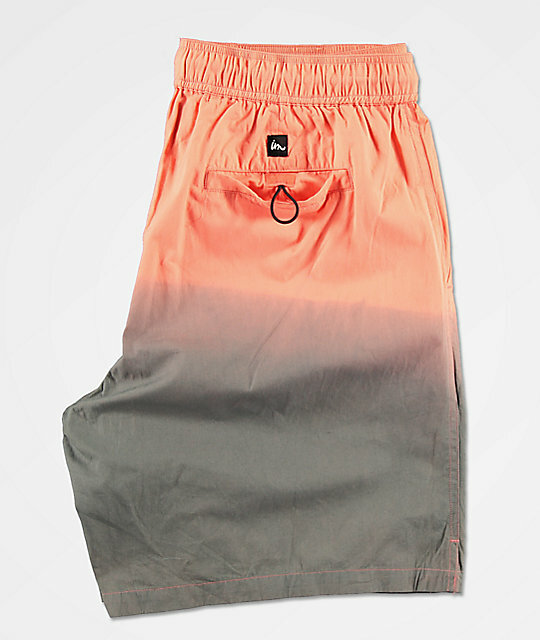 Seeker Tub Volley Coral & Grey Navy Elastic Waist Shorts from Imperial Motion. 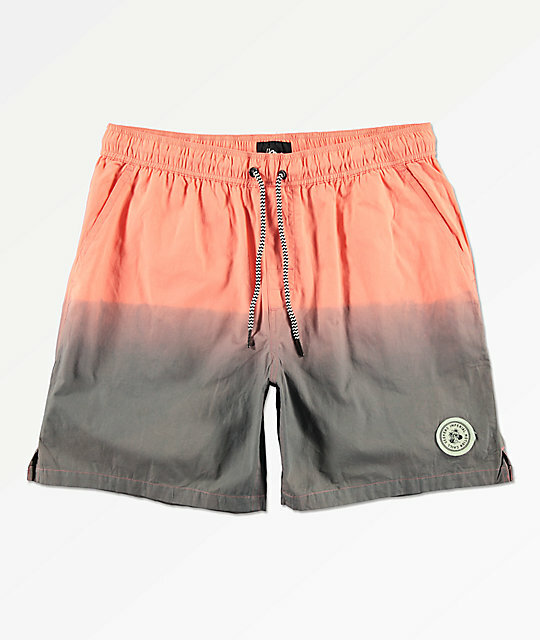 Pink and grey dip dyed colorway. Back seat pocket with hook and loop closure and hidden elastic loop.